Luật xây dựng 2014 số 50/2014/QH13 bản tiếng Anh - The construction law với nhiều điểm mới sửa đổi, bổ sung một số điều của Luật xây dựng 2003 được ban hành ngày 18 tháng 06 năm 2014. Để đáp ứng nhu cầu của bạn đọc, VnDoc giới thiệu bản tiếng Anh của Luật xây dựng 2014 với hi vọng giúp cho người nước ngoài hoặc các cá nhân làm việc cho công ty nước ngoài nắm bắt rõ hơn về Bộ luật xây dựng mới nhất. The National Assembly promulgates the Construction Law. This Law prescribes the rights, obligations and responsibilities of agencies, organizations and individuals and the state management in construction investment activities. This Law applies to domestic agencies, organizations and individuals; foreign organizations and individuals conducting construction investment activities in the territory of Vietnam. 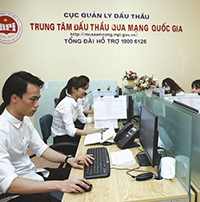 In case a treaty to which the Socialist Republic of Vietnam is a contracting party contains provisions different from those of this Law, the provisions of that treaty will prevail. 1. Construction investment pre-feasibility study report means a document presenting the contents of preliminary study on the necessity for, feasibility and effectiveness of, construction investment, which serves as a basis for consideration of, and decision on, the construction investment policy. 2. Construction investment feasibility study report means a document presenting the contents of study on the necessity for, feasibility and effectiveness of, construction investment in accordance with the selected basic design plan, which serves as a basis for consideration of, and decision on, construction investment. 3. Construction investment economic-technical report means a document presenting the contents on the necessity for, feasibility and effectiveness of, construction investment in accordance with the construction drawing design plan for a small work, which serves as a basis for consideration of, and decision on, construction investment. 4. Specialized construction work-managing ministry means a ministry tasked to manage and conduct the construction of works in the construction sector under its management. 5. Red-line boundary means a boundary line drawn on the planning map and on the field for the purpose of demarcating land plots permitted for construction of works and land plots reserved for roads or technical infrastructure facilities and other public spaces. 6. Construction boundary means a limit line of a land parcel within which the main work is permitted to be constructed. 7. Construction-planned land use norms means the norms used for management of spatial and architectural development specifically identified for an area or a land lot, including the construction density, land use coefficient and maximum and minimum construction elevations of works. 8. Economic-technical norms of a construction plan means the norms forecasted, determined and selected for use as a basis for proposing options and solutions for construction planning, including population size, land, technical and social infrastructure and environmental norms. 9. Construction project owner (below referred to as project owner) means an agency, organization or individual that owns funds, borrows loans, or is assigned to directly manage and use funds, for construction investment activities. 10. Construction work means a product created by human labor and with building materials and equipment installed therein, affixed to land, which possibly includes underground and surface components, underwater and water surface components, and constructed according to design. 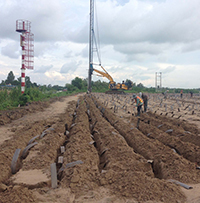 Construction works include civil works, industrial works, traffic works, agricultural and rural development works, technical infrastructure works and other works. 11. Construction level means the compulsory minimum construction elevation selected in conformity with the master plan on the foundation and rainwater drainage height. 12. Construction state management agencies include the Ministry of Construction, People's Committees of provinces or centrally run cities (below collectively rcĩcưed to as provincial- level People's Committees) and People's Committees of rural districts, urban districts, towns or provincial cities (below collectively referred to as district-level People's Committees). 13. Specialized construction agencies means specialized agencies of the Ministry of Construction or specialized construction work-managing ministries; provincial-level Construction Departments or specialized construction work-managing Departments; construction management sections of district-level People's Committees. 14. Specialized agencies attached to an investment decider means agencies or organizations with expertise relevant to the characteristics and contents of projects, which are tasked by investment deciders to conduct appraisal. 15. Construction investment project means a collection of proposals concerning use of funds for construction, repair or renovation of a construction work with a view to developing, maintaining and raising the quality of the work or product or service within a given duration at specified costs. At the stage of investment construction project preparation, the project shall be demonstrated through the construction investment pre-feasibility study report, the construction investment feasibility study report or construction investment economic-technical report. 16. Rural residential quarter means an area where many households are bound together in their production, daily life and other social activities within a specific zone formed on the basis of natural conditions, socio-economic conditions, culture and other factors. 17. Construction permit means a legal document granted by a competent state agency to a project owner for construction, repair, renovation or relocation of a work. 18. Construction permit with a definite period means a construction permit granted for construction of a work or separate house within a given duration under the plan for implementation of the construction master plan. 19. Phased construction permit means a construction permit granted for every part of a work or every work of a project when the construction design of the work or project is not yet completely implemented. 20. Construction investment activities means a process of conducting construction activities including construction, repair and renovation of a construction work. 21. 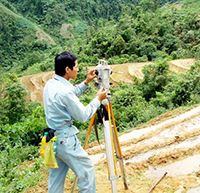 Construction activities cover construction planning, formulation of a investment project to construct a work, construction survey, construction design, construction, construction supervision, project management, selection of contractors, pre-acceptance test, handover of the work for exploitation or use, its warranty and maintenance and other activities related to its construction. 22. Technical infrastructure system includes traffic, information and communication, energy supply, public lighting, water supply, wastewater and solid waste collection and treatment facilities, cemeteries and other works. 23. Social infrastructure system includes health care, cultural, educational, sports, commercial and public service works, trees, parks and other works. 24. Construction investment consultancy activities cover construction planning, formulation of an investment project to construct a work, construction survey, design, verification, inspection, experimentation, project management, construction supervision and other counseling jobs related to construction investment activities. 25. Particular-function zone means an area developed according to an exclusive function or mixed functions such as economic zone, industrial park, export processing zone, hi-tech park; tourist resort, ecological zone, conservation zone, historical-cultural relic zone; research and training zone; physical training and sports zone; airport, seaport, technical infrastructure key zone; and another particular-function zone identified under the approved regional construction master plan or formed under decision of a competent state agency. 26. 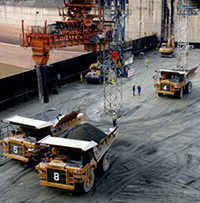 Formulation of a construction investment project covers formulation of a construction investment pre-feasibility study report (if any), construction investment feasibility study report or construction investment economic-technical report and the performance of necessary jobs to prepare the construction investment. 27. Investment decider means a person or at-law representative of an agency, organization or enterprise who is competent to approve the project and decide on construction investment. 28. Contractor in construction investment activities (below referred to as contractor) means an organization or individual that has full construction capacity or practice capacity when participating in contractual relations in construction investment activities. 29. Separate house means a work constructed within a residential land area under the use rights of a household or an individual in accordance with law. 1. Ensuring the compliance of work construction investment with master plans and designs, the protection of scenery and environment; the suitability to natural and social conditions and cultural characteristics of each locality; ensuring the stable life of people; combining socio-economic development with national defense and security and response to climate change. 2. Rationally using resources and natural resources in project areas, ensuring proper purposes, proper subjects and process of construction investment. 3. Complying with standards and technical regulations, regulations on the use of building materials; ensuring convenient and safe access for people with disabilities, the elderly and children to public facilities and high-rises; ensuring scientific and technological application and information system application to construction investment activities. 4. Ensuring the quality, schedule and safety of works, human lives and health and property; fire and explosion prevention and fighting; and environmental protection. 5. Ensuring synchronous construction within each work and synchronism with technical and social infrastructure facilities. 6. Organizations and individuals involved in construction activities must have full capacity conditions suitable to types of projects, types and grades of construction works and jobs as prescribed by this Law. 7. Ensuring the publicity, transparency, thrift and efficiency; preventing and combating corruption, waste, loss and other negative practices in construction investment activities. 8. Clearly defining the function of state management in construction investment activities from the function of management of project owners suitable to each type of to used funding sources. 1. Construction works shall be classified by type and grade. 2. 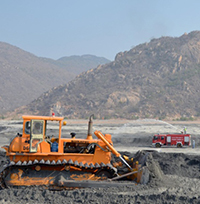 Types of construction works determined by utility include civil works, industrial works, traffic works, agricultural and rural development works, technical infrastructure and national defense or security works. 3. Grades of construction works shall be determined according to types of works and based on their sizes, purposes, importance, lifetime, used materials and technical requirements on construction. The grades of works include special grade, grade I, grade II, grade III, grade IV and other grades stipulated by the Government. 1. 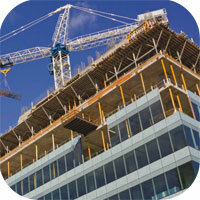 Construction investment activities must comply with national technical regulations. 2. Standards shall be applied in construction investment activities on the principle of voluntariness, excluding standards referred in technical regulations or other relevant legal documents. 3. Standards applicable to works shall be considered and approved by investment deciders when deciding the investment. b/ Ensuring synchronism and feasibility of the applied standard system. 5. The application of technical solutions, technologies and new materials in construction investment activities must satisfy national technical regulations and relevant laws. 6. The Ministry of Construction and specialized construction work-managing ministries shall formulate standards and national technical regulations applicable to specialized construction works in accordance with the law on standards and technical regulations.